The folks at Loess Hills Tactical, located in Council Bluffs, Iowa, “specialize in high end AR15/M16/M4 parts & accessories, specialized armorer’s tools, and tactical gear”. We are proud to have Paul and his team in our dealer group. They have over 7,000 Facebook likes! You can check them out on Facebook, call them at 402-312-9080, or visit their webstore. 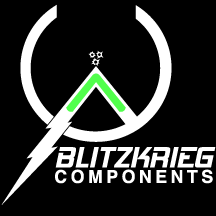 If you want to pick up a Blitzkrieg Front Sight Post, you can go here. We just shot a video to give you a side by side look at the Luminescent FSP and the Tritium Dot FSP. Let us know what you think. Have you seen the Blitzkrieg Tritium Dot FSP? Catch a glimpse of our Blitzkrieg Component’s Luminescent Front Sight Post in action. Read. Learn. Train. Do More PT. Be a pilot-operate your own controls. Know when to hold 'em. Know when to fold 'em.